Dan Lewis is the CEO and founder of Skute. 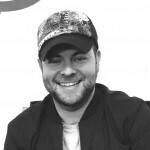 He has more than 14 years in marketing, specializing as a social engagement strategist. As a father of two young kids, Dan realized that the current state of social media is a scary place for the next generation and he felt something needed to be done to create a safe place for them to connect; but will empower and enrich their lives while fulfilling their current needs and wants of creating, sharing and discovering content. NXP: Tell us about Skute. How does it make a change in everyday life? Skute is a wearable, proximity beacon, content channel and social network. 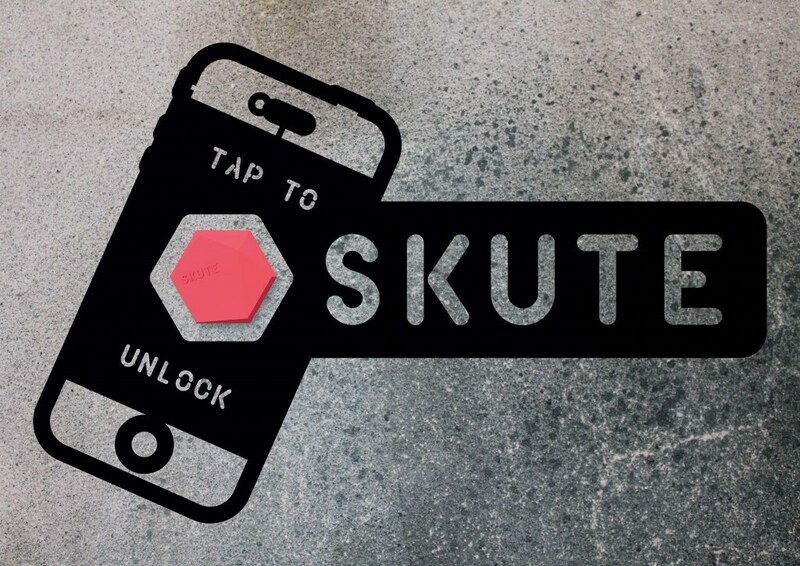 Skute inserts NFC tags into fashionable and robust wearable products. Any device that can detect NFC will instantly access content on the Skute when it gets close enough. Using the app you can view content on any Skute, transfer videos, pictures, audio and more, set restrictions on the content you share, follow Skutes and get instant updates. In a world of constant pushed information and content, we chose NFC to put the power of engagement and interaction entirely back in the users’ hands. Skute wants to protect our users’ data and who sees their content, with whom and how they connect, and with what brands they actually want to chat and engage with. It’s been taken up initially by a teen audience who are naturally social, live for content and like to discover new things. NXP: What led you to create Skute? I’d always felt that the user experience should be more than just a marketing push. So back in 2012 I entered a UK goverment competition with IC Tomorrow/Innovate UK around bringing the physical-to-digital for the music industry – which I won! That helped validate the idea of creating a two way channel between artist and fan by using a fun and unique wearable that was safe and secure. However after the trial we realised this platform could become a far bigger proposition when you start adding social, proximity and content creation to the mix – Skute was born! Back in 2011 I was the head of strategy of a start-up called Zappit. We became the first OOH platform to trial and use NFC for consumer engagement – after using QR up to that point, NFC just blew my mind! We used NFC for many factors, but cost, durability and no need for a power source were the biggest factors. We also like that our users actively engage with something rather than being tracked or remotely pushed content. NXP: How do you keep your application secure? We have several layers of security – with the tag, the backend platform and app all playing their part to protect our users’ data and content. 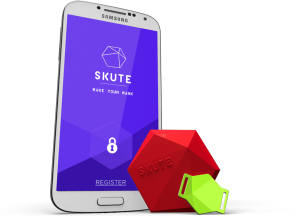 Each Skute NFC tag is encoded and locked with its very own unique Skute URL that allows communication to our backend platform. A user then registers the tag as their own via the app, which increases security as only that user can add or allow others to push content to that channel. Additionally they can set privacy restrictions on who can view and share the tags content. NXP: What are you working on now? Currently we’re trying to grow the brand, build collaborative partnerships and push into the US. We’re still on our first generation of the app, however the response we’ve had so far has been amazing. We’re also looking at developing an action-cam remote mechanism within the Skute channel, allowing the content to be left on a Skute tag for others to discover. NXP: How do you see NFC applications like yours evolving over the longer term? 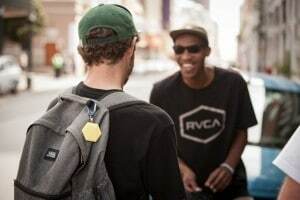 We want to inspire others and see tags added into other physical products and wearables that a platform like Skute could connect to. We live in a connected and social world, and Skute allows for a secure but really exciting two-way communication channel. From our perspective to gain further penetration, we need more innovative and creative ideas using this tech that will inspire the next generation. This demographic is the future – they get things faster, they help educate others and when they use anything continually, brands sit up and listen! NXP: Thanks for taking the time to talk to us!